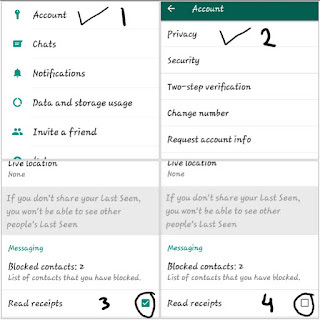 Internet 7 Useful Whatsapp Tricks You Should Know !!! 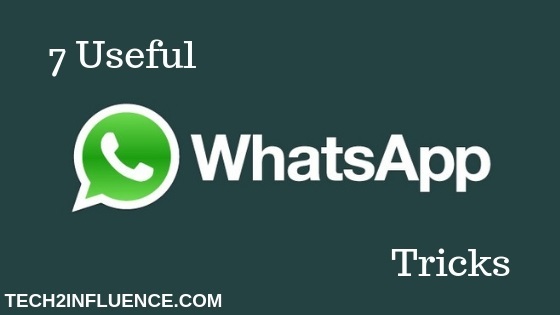 As you know Whatsapp is a very popular online platform where peoples chat with each other. 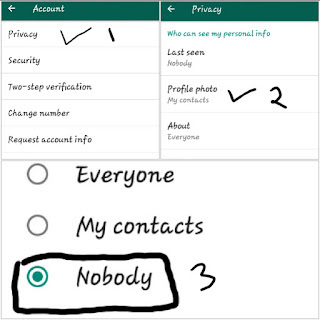 Now a time i think there may not be anyone who don't use whatsapp. Due to its popularity and uses now its became a part of everyone's life. 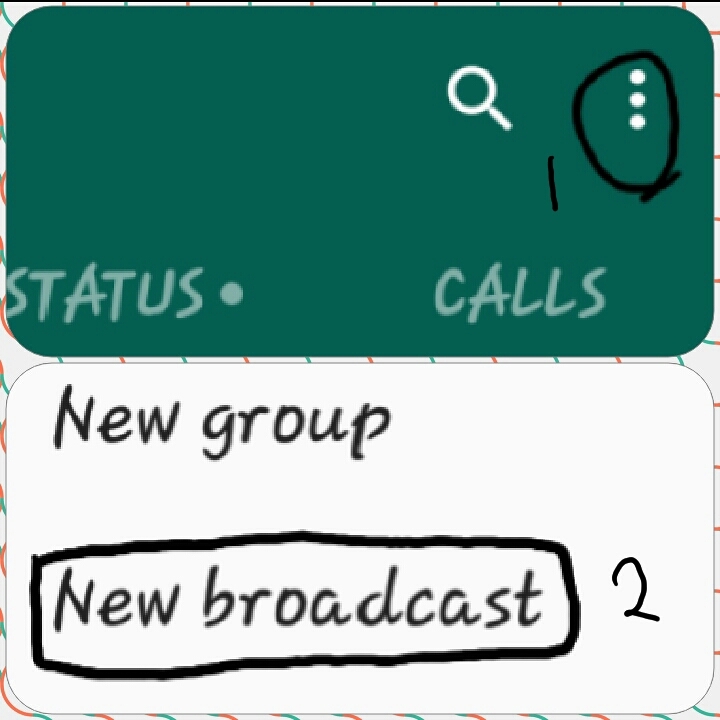 So, due to its importance whatsapp brings some new features and updates in some times interval. But many people don't know some useful features in it. They only send messages, update status and video calling. 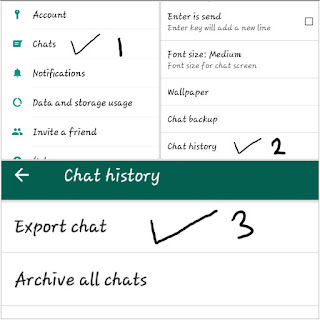 But, if they will know some basic features then it will be more easy to use whatsapp. 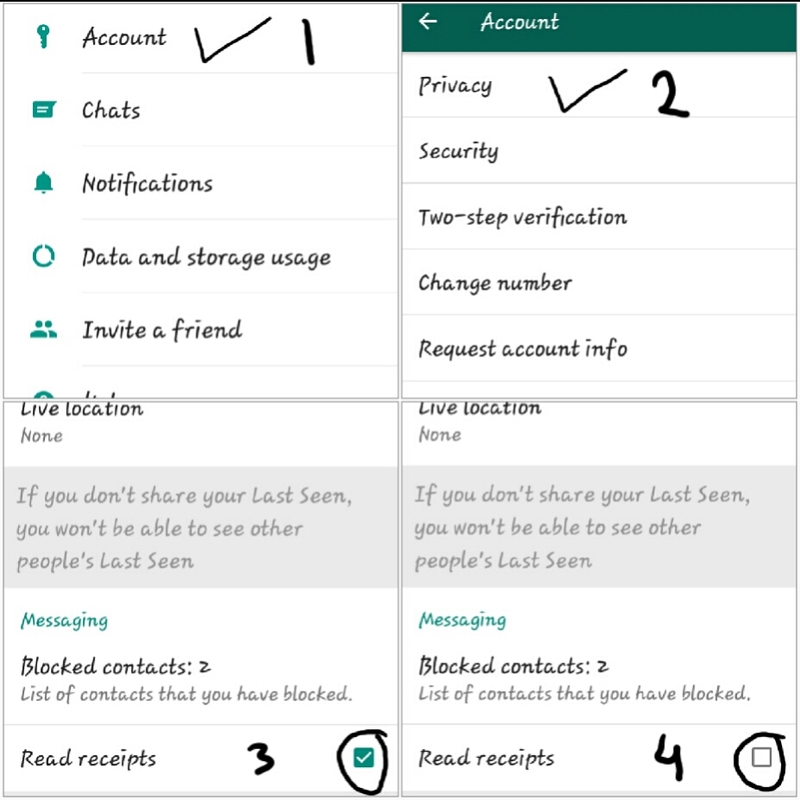 There are many features in whatsapp but here in this post i will give you 7 useful whatsapp tricks that you should know. Now 3 options will be available; the default was everyone. 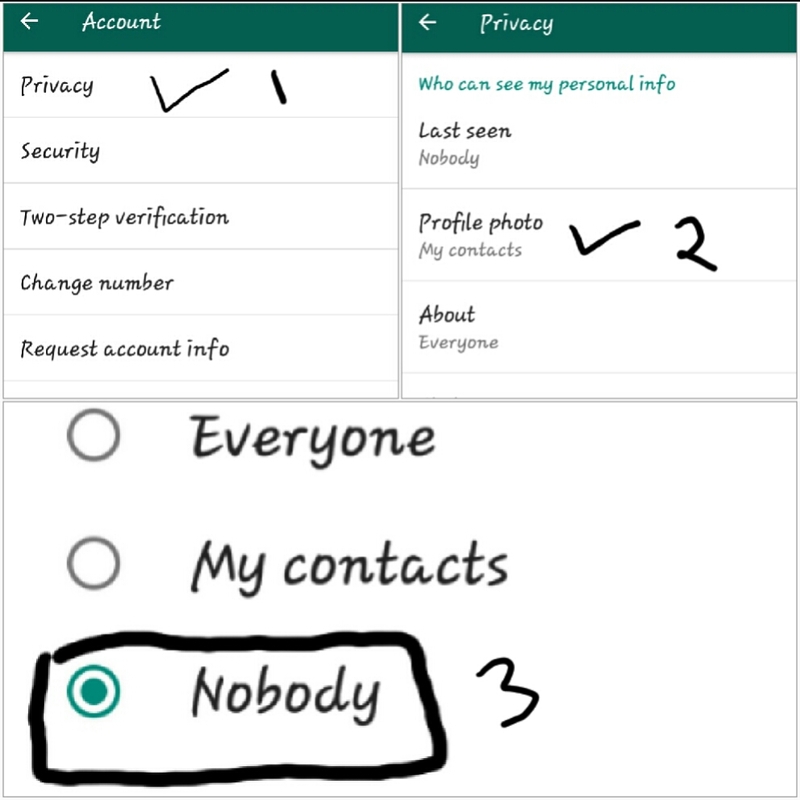 So, if you want to hide it from except your contacts then select My contacts or if you want to hide it from all then select Nobody. Now scroll down the page and you can see there is an option "Read Receipts" which was default enabled. So, now disable the "Read Receipts". 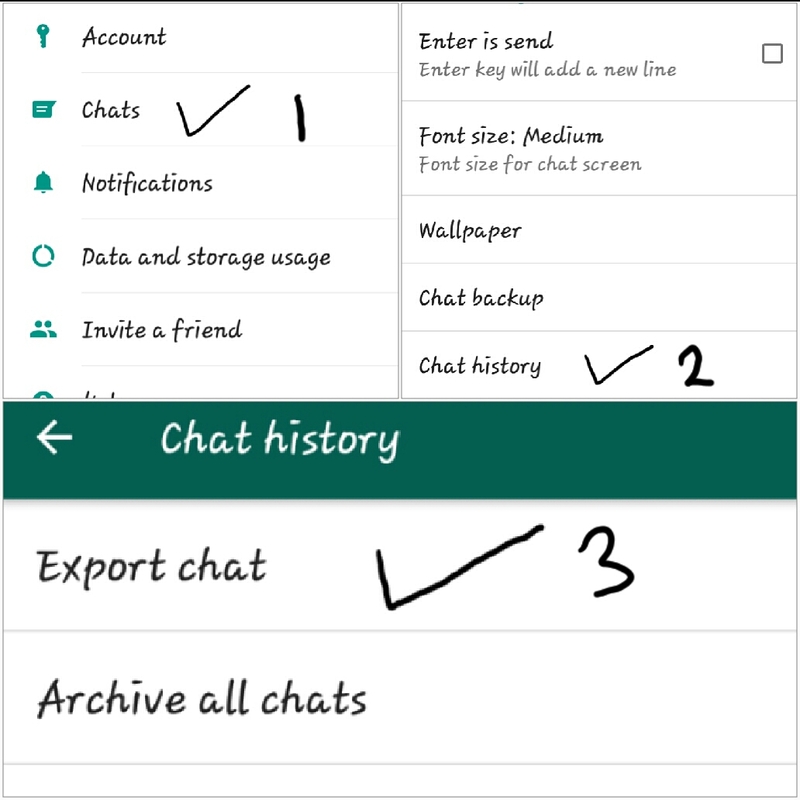 Now select your friend whom chat history you want to send. Then go to the "Databases"
Now you can see the messages are in "Crypt12" file format and the main file is "msgstore.db.crypt12" with previous 7 days messages. Now open it on Notepad to see the messages. 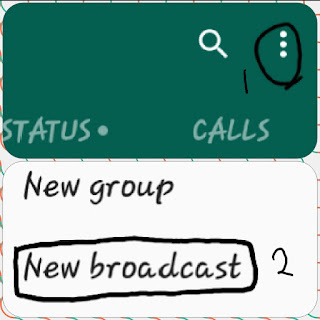 Then click on "New Broadcast"
This is also a cool trick by which you can know the exact time when your friends seen your message. 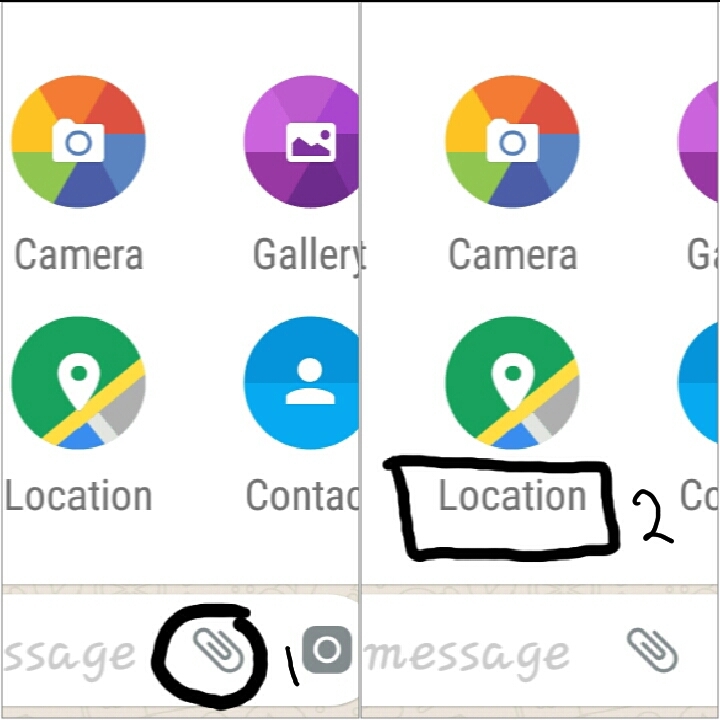 This trick will be more useful because when your friend disable the read receipts option then if you send message then the blue tick will not appear. So, you don't sure that the message was seen or not by them. So, for this trick you will be able to see the exact time when your friend see your message. Now you can see the message delivery and reading status. For "Groups" you can also follow these above steps to see when your friends seen your messages.